The New York Public Library recently digitized thousands of hours of its videos in the Jerome Robbins Dance Division Moving Image Archive, from grainy historic footage to contemporary productions along with preservations of culture. One of these — Annabella — dates from 1897 and shows a dancer swirled in fabric that changes shades. British Columbia artists are invited to submit innovative examples of film and video that reflect the body in motion or dance-based performance for entry in RADAR, a night of short dance films screening at the Vancity Theatre as part of the Dance In Vancouver Festival. Single-channel video will be accepted in the following categories: narratives, documentaries, abstract and experimental shorts that are staged work remade for the camera (not documentation), choreography created specifically for the camera, as well as the moving body articulated through animation and new media. All work must be no longer than 15 minutes in length. Performances videos are also considered. 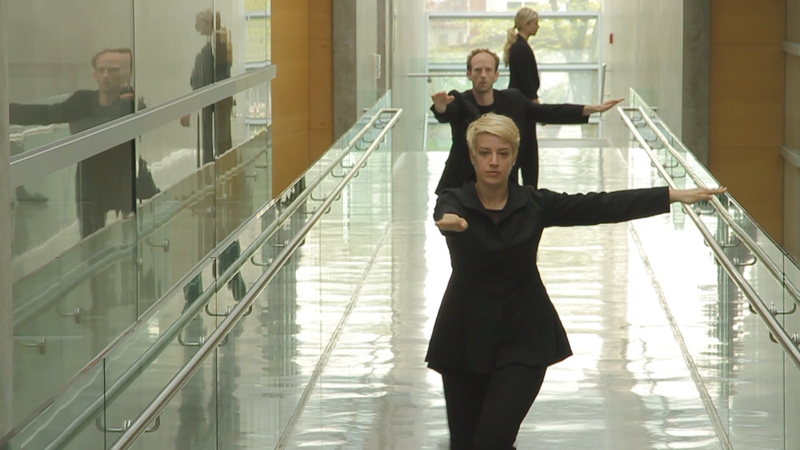 Please consider our curatorial question – would we rather see this dance live? Does the video represent a strong marriage of two arts, dance and film? RADAR is a program that dedicated to the exploration and evolution of dance film through connecting artists scene by scene. Curated by filmmaker/curator Adam Sekuler and choreographer Shannon Stewart, RADAR features movement based films of many budgets, styles and perspectives, creating a platform of local/national and international exchange that allows artists to publicly screen their work, discuss, get feedback, and meet other artists working in the same form. In 2013, RADAR screenings took place place in Philadelphia, Brooklyn, Portland, and Minneapolis. Preview screeners must be submitted via vimeo, youtube or other links. If chosen, work must be available in quicktime formats. Submissions should be no longer than 15 minutes in length. Please enclose contact information with your submission. You will be notified by e-mail if your work is accepted by Oct 20. Contact Adam Sekuler [email protected]ail.com if you have any questions or need more information. I spent this weekend shooting a dance film / video with Rob Kitsos, for his ongoing project A Moving. Sunset Community Centre has some beautiful lines and spaces... we also got into the Sunset Nursery next door. This month's mass was gettin' bigger, as the sun came out and the DST-change made it brighter. The weather was threatening as late as 4 pm in my neighbourhood but it ended up being a beautiful day. First surprise of the Mass was the giant American film shoot occupying the Art Gallery square before us. What made it a little more surprising was that one of the ride veterans led the start of the ride through the film shoot - or so we thought. It looked like a good bit of fun and a political point well-made when we started passing right in front of the camera. But then he stopped, took two steps up the Art Gallery stairs, and the guy started explaining why we were going to occupy the gallery steps for 20 minutes until it was time to leave on the ride. Uh-oh! I signed up to make a statement about bike culture over car culture, not to make a statement against Hollywood Film Productions. I make plenty of those every day, and while I like the idea of earning everyone on set an extra 20 minutes of pay while slowing down the Hollywood agenda by several nanoseconds, I had no clear reason to throw Critical Mass into a head-on, high-stakes confrontation with max-pressure location managers, whose chief activity all day is cajoling people to get the hell out of the way and let them get on with their work.